Over the past couple of years, these type of educational projects have really taken the world by storm. More and more parents are turning to these toys because they believe they are the best for their kids and they’re right. For those of you that aren’t familiar with this type of product, they aim to help children learn about green energy. These are the skills that children need to adjust to in order to stay relevant in today’s tech-centric world. While there are many different solar toys currently available on the market, the one we would like to talk to you about today is called the 14 in 1 Educational Solar Robot Kit. In this review, we’re going to tell you what we already know about it, so pay close attention…. Each of the robots have a multitude of comical and functional movements. The user can easily change from a wagging-tail dog -> running beetle -> walking crab -> surfer -> speedster -> zombie chaser. The robot kit provides unique accessories (included) and parts that make the robot move on land and water. What’s more, parents can rest assure that all parts are safe and non-toxic. What Does the 14 in 1 Educational Solar Robot Kit Focus On? The Robot Kit is fully focused on the mechanics of engineering and construction. Using the solar panels, children can build a number of different robots. Children will spend hours on end putting together the solar operated models with the practical engineering kit. Of course, this kit, along with every other kit offered by this company, comes with an instruction manual. This one in particular comes with step-by-step instructions on putting each model together. Each model can be put together between one and four steps. Since there aren’t a whole lot of steps to follow, putting the model together will be easy for children. In the guide, they outline the components, how to assemble and connect the different parts, and they explain the purpose of each capsule. They also explain how the solar panels operate, which is pretty cool. The instruction guide also has a memo page, so users can write down any observations or notes they feel necessary. With alternative energy playing such a pivotal role in today’s world, there is no better time than now to start children on the path to learning basic concepts behind robotics and renewable energy resources. Fortunately, this product is powered by the sun, so there are no batteries required. The robot moves in the direct sunlight and allows kids to create and use their infinite imagination. This kit is recommended for the ages ten and over and yes, adult supervision is required. It isn’t suitable for children that are three and under due to the small parts. 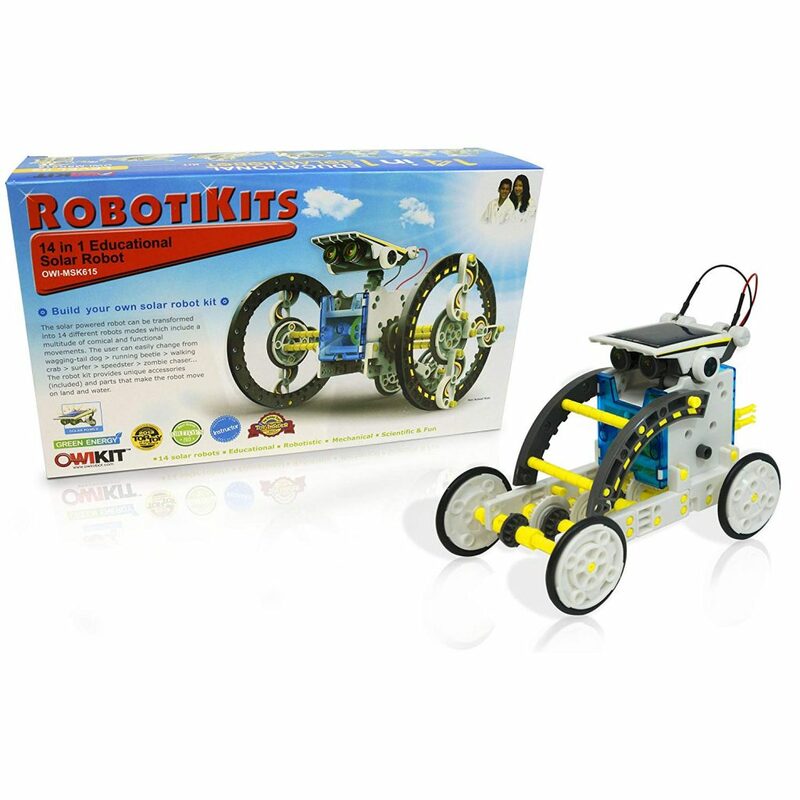 Overall, this is a pretty cool kit that will offer an exciting learning experience to your little one.